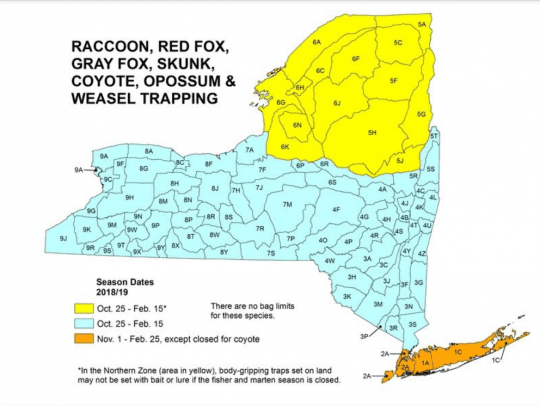 During the winter season, New York trappers will continue setting leghold and “Conibear,” or body-crushing, traps throughout the countryside. Their goal is to capture coyotes, foxes, bobcats and other wildlife. These devices are frequently placed around trails and roads enjoyed by hikers, nature enthusiasts and their companion animals. Unfortunately, pet owners remain largely unaware that such devices could lie in wait, threatening our dogs, cats and other unintended targets. » Continue Reading. Fisher and marten are medium-sized members of the weasel family, which also includes ermine, mink, and river otters. While fisher have been expanding their range in recent decades, New York’s marten are restricted to the Adirondacks. » Continue Reading. The draft SEIS describes and evaluates habitat management methods used on nearly 234,000 acres of state land – mostly Wildlife Management Areas managed for wildlife production and for recreation. The PEIS has not been updated since it was adopted in 1979, according to DEC’s press announcement. » Continue Reading. Furbearer trapping will begin soon in many parts of New York State, following changes to fisher and marten trapping seasons, as well as changes to some general trapping regulations and expanded hunting for bobcat. 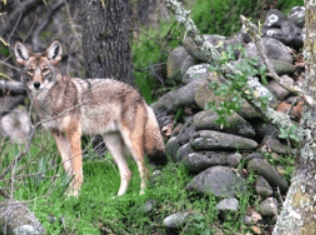 While coyote hunting season began October 1 in much the state, hunting seasons for other furbearers such as bobcat, raccoon, and fox begins October 25. Trappers should be aware of changes to trapping regulations for fisher beginning this fall, including: » Continue Reading. The New York State Conservation Council (NYSCC) is seeking Committee applicants for 2017. 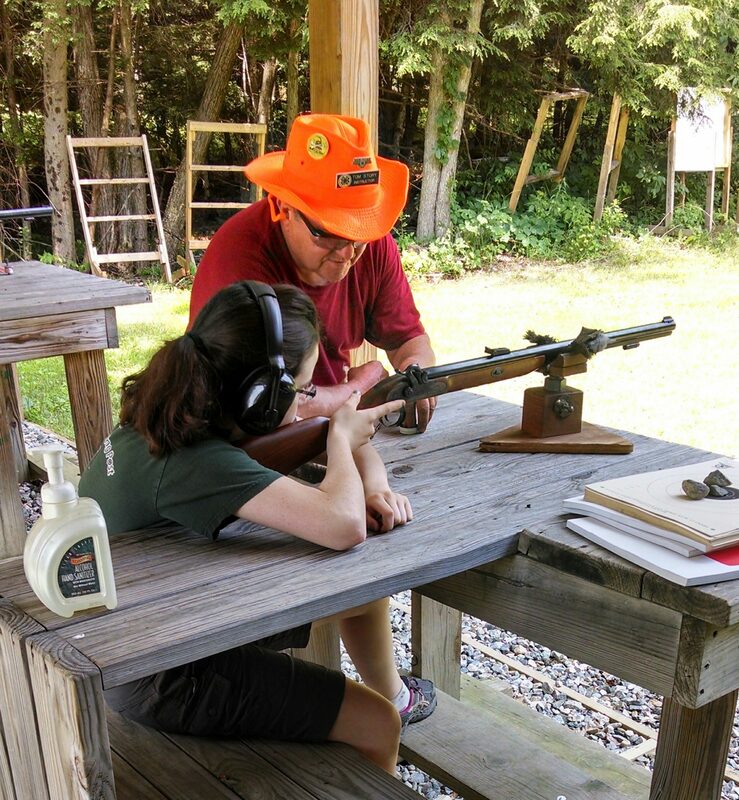 NYSCC is the oldest conservation organization in New York State, comprised of volunteers who are concerned with sound management of the state’s and the nation’s land, water, fish and wildlife. Members are involved in a variety of Council issues dealing with hunting, trapping and angling, and ranging from educating youth and adults, to legislation, and including projects such as cleaning up waterways and roadsides and habitat improvement for sportsmen and women. » Continue Reading. The New York State Department of Environmental Conservation (DEC) has announced that sporting licenses and Deer Management Permits for the 2016-17 season are now on sale. Licenses and permits can be purchased at any one of DEC’s license-issuing agents, in person, by telephone, or online. » Continue Reading. The 2016 New York State Legislative regular session has ended. 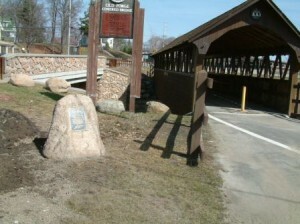 According to a statement issued by the New York State Conservation Council, “the 2016 session ended with very little legislation of concern to the sportsmen reaching the floor of both houses of the legislature for an actual vote.” The Conservation Council recently highlighted the following Adirondack related bills in an e-mail sent to the organization’s supporters. » Continue Reading. 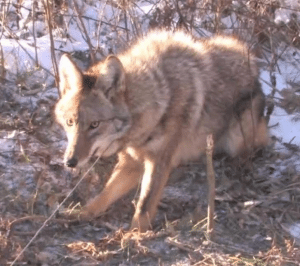 Legislation is now pending in the New York State Legislature to allow the use of cable snares, also known as cable restraint devices, to trap coyotes in the northern hunting zone, which includes the Adirondacks. 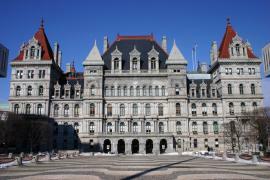 The New York State Conservation Council has been actively lobbying for the bill’s passage. The Senate Environmental Conservation Committee has reported bill S2953-C, sponsored by Senator Robert Ortt (R,C,I – North Tonawanda), and it is on the floor calendar. Assembly companion bill A9462-A, sponsored by Assemblyman William Magee (D-Nelson), is currently pending in the Assembly Environmental Conservation Committee. » Continue Reading. 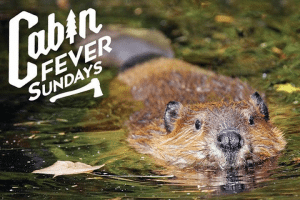 The third installment of Cabin Fever Sundays lecture series on February 28th examines beaver populations in the Adirondacks, in history and today. In “Living with Beavers” John Warren and Charlotte Demers will discuss the historic and contemporary implications of beaver trapping, their importance to the fur trade, contemporary issues with the damming of rivers, and more. » Continue Reading. 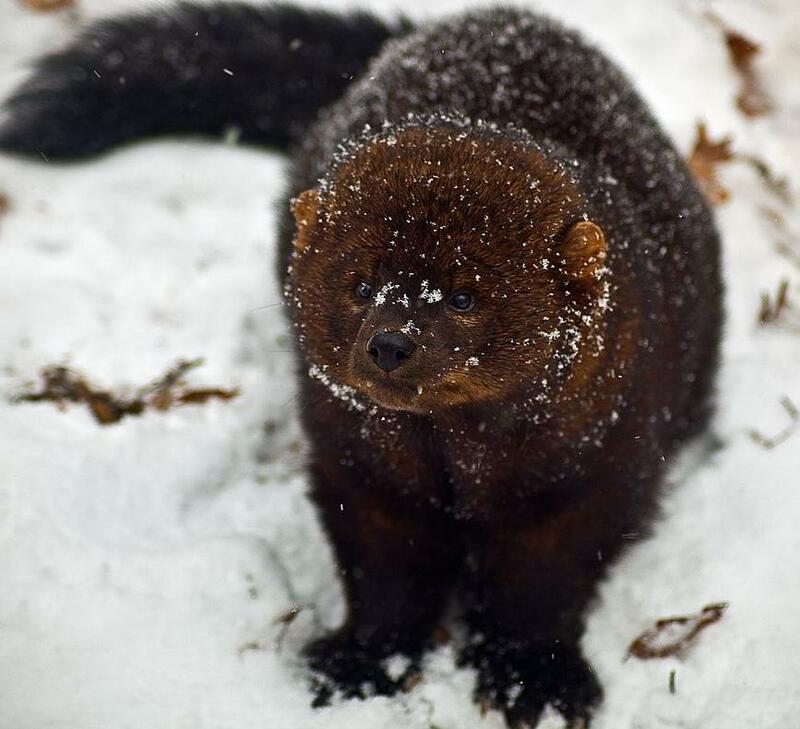 The Department of Environmental Conservation (DEC) has announced the release of a fisher “management strategy” that reduces the trapping season in the northern part of the state by 16 days and establishes a new six-day season in the central and western parts of the state. The fisher plan is expected to guide the agency’s approach to the species for the next 10 years. The plan attempts to advance two of DEC’s stated goals: to maintain or grow fisher populations where suitable habitat exists and to provide trapping opportunities. » Continue Reading. The recent barrage of publicity regarding ebola has focused everyone’s attention on this particularly deadly virus, however, the relatively isolated nature of the Adirondacks makes our region a most unlikely location for an appearance of such a troublesome disease. In our area there are other viruses that are a much greater threat to the health of the general public than ebola. At this time of year rabies must be given a top priority, as autumn is the time many infected animals are on the move, and for anyone exposed to this virus who fails to get medical attention the outcome is almost always fatal. » Continue Reading. Cornell Cooperative Extension of Warren County, in partnership with DEC Sportsman Education volunteer instructors, will be organizing sportsmen education classes on Saturday, September 13th and Sunday, September 14th. The following classes are being offered each day; Sportsman Education, Bow Hunter Education, or Trapper Education (you may choose ONE class per day, bow hunter students must have completed hunter education previous to registering for bow hunter education). Those who have completed online training MUST pre-register and must bring their printed certificate of completion with them to class. They do not need to pick up the books. » Continue Reading. Eurasian boars were brought to North America centuries ago and wild populations numbering in the millions are now present across much of the southern U.S. In recent years, wild boar populations have been appearing in more northern states too, often as a result of escapes from enclosed shooting facilities that offer “wild boar hunts” according to DEC wildlife experts. » Continue Reading. e New York State Department of Environmental Conservation’s (DEC) new computerized sporting licensing system is operational, allowing sportsmen and sportswomen to conduct license transactions. The transition of hunter, angler and trapper data required a temporary shutdown for sales of hunting, fishing and trapping licenses, recreational marine fishing registrations and harvest game reporting. The data transfer has been completed and individuals can resume normal transactions and reporting on the new system. » Continue Reading. Less than twenty years (1850) afterwards, the events preceding the shooting and its aftermath were described in great detail, including trial testimony, by Jeptha Simms in Trappers of New York, which remains the primary source for that part of John Brown’s Tract history today. While the events surrounding the shooting have become a part of history and folklore, influenced by changing attitudes about Foster and toward Native Americans, another parallel story can be told about the graves of these two men. The remains of the two men who were opposing forces when alive, shared unsettled treatment after their burial. » Continue Reading.